The event organizer must be notified in case an existing finish place is transferred to someone else. A CHF 20.00 administrative fee will be charged for all transfers made on or after July 1, 2019. Clothing transport to the finish line, free transportation with the Glacier 3000 mountain railways, Shuttle Bus to Gstaad upon proof of race number and pasta coupon (refreshment area at the ice rink premises in Gstaad). 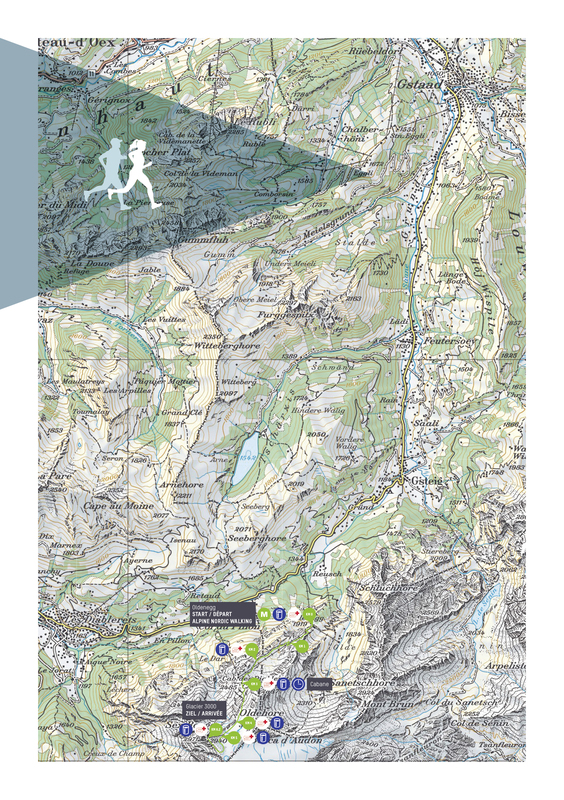 For the Glacier 3000 Run there are 1’000 entry slots (including the Teams and Alpine Nordic Walking categories). The starting places are determined by the order in which the race fees are received. These informations will follow early 2019.